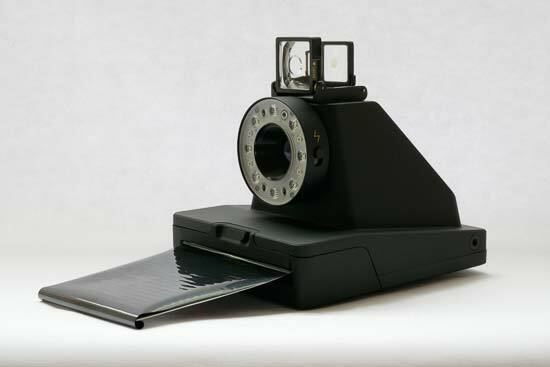 The Impossible Project launched in 2008 with the aim of reviving the defunct Polaroid format, which had not long before announced it would stop creating its classic instant film. 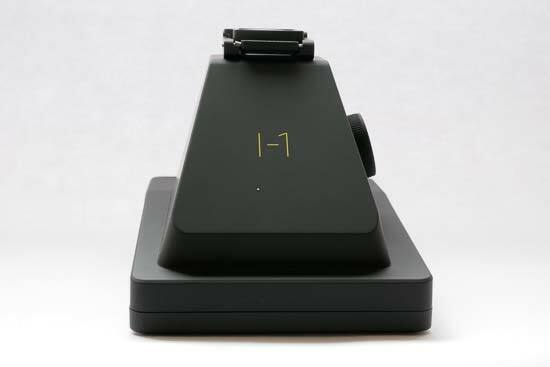 Starting with creating film for existing Polaroid cameras, the Impossible I-1 marks the first actual camera that the company has produced. It takes Polaroid 600 film, whether you have some classic stock in your fridge, or some of the new film produced by the Impossible Project (I-Type). The camera is completely point and shoot, however if you pair it via Bluetooth with a smartphone app, you can take manual control of it. The Impossible I-1 officially retails for £300 / $300. Packs of film cost around £16, and are available in black and white or colour. 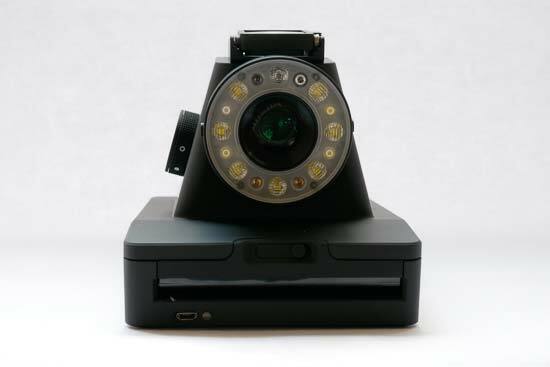 The Impossible I-1 is by modern standards a very unusual looking camera. Certainly, it drew some strange glances when using it out and about in public. It has a large body, which is necessary to facilitate the film in the bottom of it. You can’t really use it one handedly - or if you do, it’ll be very awkward. There’s no grip built into the camera, but a hand strap comes in the box to help you hold it more securely. In terms of buttons and dials, it’s quite a simple setup, with it being designed to be a basic point and shoot if you’re using it as a standalone camera. The first thing you’ll need to do is charge the Impossible I-1. A Micro USB cable is supplied in the box, meaning you can charge the camera via a smartphone charger, or by plugging it into your computer. Doing the latter will take longer to charge - plugging it into a wall socket should fully charge it in around an hour or so. There’s a small LED light just next to the Micro USB socket on the front of the camera. This will glow permanently red while the camera is charging, switching off when full power has been reached. When the camera is unplugged, after switching on, the red light will blink if there’s not enough power to charge the ring flash on the front of the camera. If you see it doing that, you should only use the camera for bright sunlight shots. Around the front of the Impossible I-1 is a ring flash, which you will need to use in most shooting scenarios. It also doubles up as a handy way to tell you various things about the camera. There are eight lights around the flash, which you can use to gauge battery life and how much film is left. If you press down the shutter release while the camera is left, the number of lights which flash show you how much battery is left. If fewer than three lights flash, you’ll know that there’s not enough battery to use the flash. When you switch on the Impossible I-1 the number of lights that flash on the ring flash indicate how many shots in the film pack are remaining. There are 8 shots per film pack, so you just need to count how many light up. If the top light flashes red, then you know there’s just one shot, and if it flashes rapidly, you know that you need to replace the film pack. When you use the ring flash to take a photo, all of the LED lights will flash at once, along with supplementary smaller LEDs to bring the total up to 12. Impossible says that you need to use the flash in all but the very brightest of sunlight. To switch on the Impossible I-1 there’s a round dial on the side of the camera. It can be rotated into three different positions, and there’s there’s a line across it to help you determine whether it’s in the right place or not. If you switch it so the line lines up with the line on the ring, then it’ll be switched on. Turn it one way the other way and it’s switched off, and one way in the other direction, then you’ll have switched to Bluetooth mode. Around the ring flash housing, there are two switches. You can switch the flash on or off (again, it’s recommended that you leave it on all the time), and the second switch can be used to control exposure compensation. It’s a very rudimentary control, there’s just standard, and one step negative, and one step positive. On the top of the Impossible I-1 is a viewfinder, which is attached by magnets and can therefore be very easily removed if you don’t want to use it. The viewfinder is also collapsible. To open it push the side of it to release the latch and it should pop up. The viewfinder isn’t optical, it’s designed more of an aid than a specific and accurate finder. 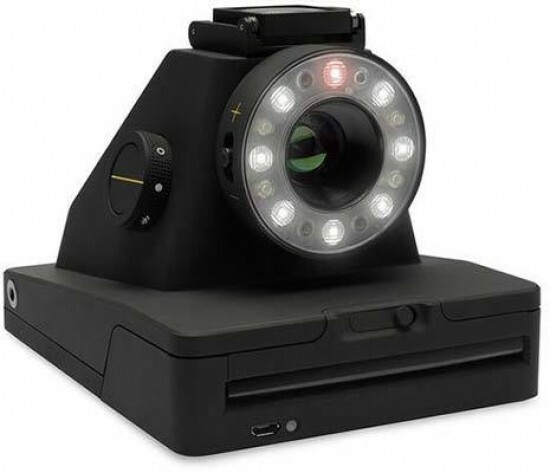 It has silver markings on it that help you to align the camera. The best way to use it is to hold it around 4-5cm away from your eye. In the middle of the finder is a silver dot - when you see that this is in the middle of the frame, then you’ve got it roughly aligned. It takes some time to get the hang of, but once you have it’s a good way to get a better idea of exactly what will be in your frame and what won’t be. In order to take a picture, you should first half press the shutter button to make sure the Impossible I-1 has focused. If you are somewhere quiet, you may even hear the sound of the focusing mechanism. Fully depress the shutter button to take the picture. The picture should be ejected straight away from the slot, where it will be protected from light by the “frog tongue”. Make sure to take the photo out, and continue to protect it from light while it develops - but also be careful to make sure you don’t damage the frog tongue. If you’re outside and it’s cold, it’s worthwhile putting the film somewhere warm, such as an inside pocket, while it develops. The black and white film takes between 5-10 minutes to develop, while the colour film takes more like 20-25 minutes. You can download the free I-1 app for iOS and Android. To connect it, simply make sure bluetooth is switched on for your phone, and switch the camera to the bluetooth position on the power dial. Once connected you’ll see that you have various options, including a remote trigger, manual mode, self-timer, double exposure, noise trigger, light paint, colour paint and scanner. The remote trigger allows you to trigger the shutter release by pressing a button on your phone, which is useful for group and self portraits. Under manual mode, you’ll see you can adjust shutter speed and aperture, as well as change the intensity of the flash. You can also change the focus setting, and exposure compensation. For self-timer, you have a choice of 5 seconds, 10 seconds and 20 seconds. Double exposure is a fun thing to experiment with - simply press the button once and it will take one exposure without ejecting the film, press it again and you’ll have a double exposure. Use the noise trigger and you can record a trigger that you can use to trip the exposure, such as a hand clap or a shout. Light painting mode utilises the torch on your phone. Press the shutter release button, then hold down the torch icon and you can paint something that is captured by the camera, pressing the button again will stop the exposure. You could also use another torch if you wanted to. Colour Paint also uses your phone. You can choose the colour you want to paint with on screen, then when you’re ready press the shutter button on the screen. Then wave your phone in front of the camera, finally pressing the shutter button again to eject the photo from the Impossible I-1. 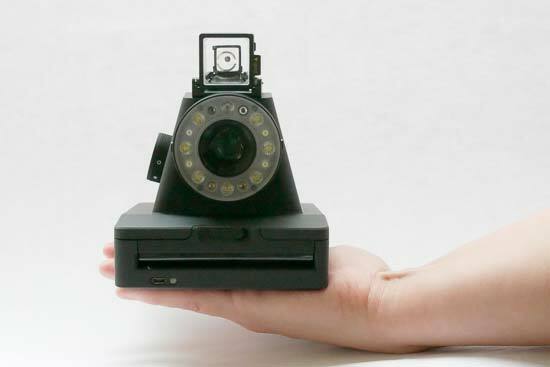 Scanner is simply a way to take a photo of your instant prints using your phone camera.